Being an astronaut is among the most dangerous jobs in the world. Of the 544 human beings that have been to space (so far), 18 of them have died during a spaceflight mission. That adds up to a 3.3% mortality rate, which far exceeds that of any other profession. The 2015 Antares explosion just above the launch pad. Luckily, this was not a crewed launch. Image: NASA. This one isn't technically a spaceflight disaster, since the astronauts never made it off of the ground. But it did occur inside of what was supposed to be a flight-ready spacecraft that was strapped to the top of a Saturn IB rocket, so it still counts. The crew of the ill-fated Apollo 1 capsule. 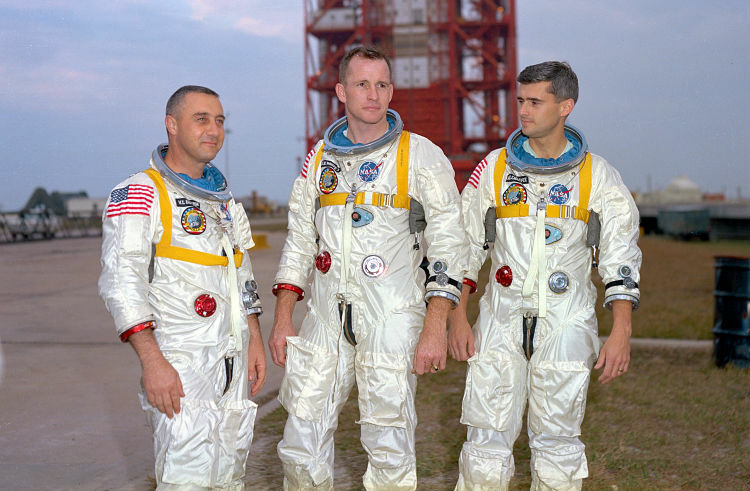 From left to right: Grissom, White, Chaffee. Image: NASA. 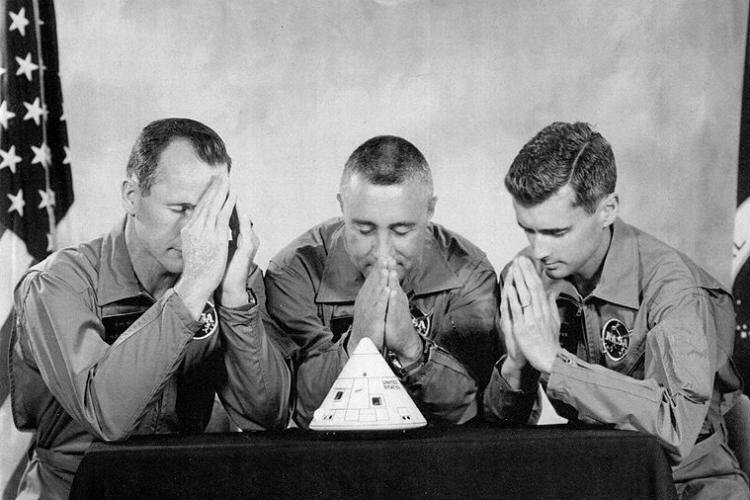 The incident: Under NASA's Apollo Program that would later take astronauts to the Moon, Gus Grissom, Ed White, and Roger Chaffee had been selected as the first human crew to launch into space inside of the Apollo spacecraft. Their mission was to test the command module in orbit for up to 14 days, which would (hopefully) prove that the new spacecraft was practical for a journey to the Moon. The date was January 27, 1967. And NASA's internal deadline was to land a human being on the Moon before 1969 came to a close. With an official launch date set for the following month, the Apollo 1 crew was loaded into the command module in order to conduct a full pre-flight countdown simulation. This was to be a plugs-out test: the spacecraft would be running on its own internal power, providing life support, and going through the motions of a real countdown procedure. As they sat atop their rocket on launch pad 34, a communications problem developed and the countdown was put on hold at T-minus 10 minutes. Grissom remarked "how are we going to get to the Moon if we can't talk between two or three buildings?" Less than a minute later, a fire broke out inside of the cockpit, spreading rapidly through the 100% pure-oxygen environment of the spacecraft. The astronauts had only a few seconds to radio for help as they attempted to open the hatch, but the cumbersome mechanism prevented escape. Within seconds, the entire spacecraft was engulfed in flames—with the astronauts trapped inside. 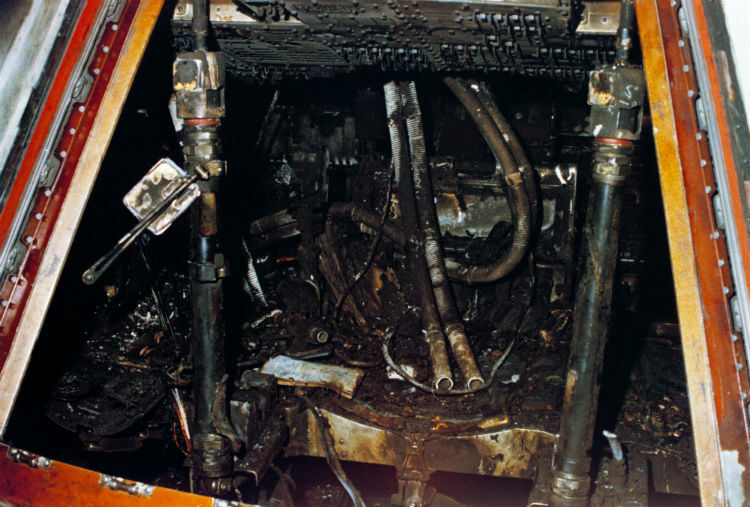 Inside of the Apollo 1 module, post-fire. Image: NASA. The fire was initially caused by an unknown ignition source (some claim faulty wiring); the 100% oxygen atmosphere combined with flammable materials had made the capsule into a death-trap. A post-mortem showed that the astronauts had died of cardiac arrest. When the fire quickly melted through their Oxygen tubes, the three men were exposed to lethal levels of carbon monoxide—this would have caused them to asphyxiate and rapidly lose consciousness. Leading up to the incident, Apollo astronauts had already expressed concerns with the design and quality of the new spacecraft, with some even warning their colleagues to 'get out immediately' if anything seemed off. Disaster was almost inevitable. The crew of Apollo 1 had this cryptic photograph taken as a joke... Image: NASA. The aftermath: Upon review, the Apollo command module was found to be hazardous and carelessly assembled, with investigators even citing a misplaced socket wrench that was found inside of the cabin. As a result, the spacecraft was redesigned and its construction was more carefully monitored going forward (after all, it was going to the Moon—it should at least be put together accordingly). ONE GRUESOME FACT: THE 3.3% MORTALITY RATE FOR ASTRONAUTS DOES NOT INCLUDE THE APOLLO 1 INCIDENT. IF IT DID, THAT NUMBER WOULD CLIMB TO 3.86%. Despite the new policies and procedures NASA put in place following the Apollo 1 disaster, this incident marked the beginning of a long and tragic trend. In every single spaceflight fatality, the root cause has always been that of hardware malfunction—never astronaut error. And despite the fact that aerospace engineers have often warned of such problems long before they arise, astronaut safety has repeatedly been compromised by a phenomenon that's come to be known as "go fever." Just 30 months after the first crewed Apollo capsule burst into flames on the launch pad, Apollo 11 made its historic Moon landing in July of 1969. The Soyuz program was the Soviet Union's answer to the United States' Apollo program. The key difference was that the Soyuz was designed to accommodate two people, while the larger Apollo capsule could carry three. This approach may have offered the Soviets a real shot at beating their American counterparts, had the Soyuz capsule been more up to the task (and had their giant N1 Rocket not suffered 4 consecutive failures before being scrapped). Up until the mid-1960's, the Soviets had been well ahead of the Americans in terms of spaceflight achievements—they'd flown the first man in space, the first woman, sent the first probes to the Moon and Venus, conducted the first spacewalk, successfully landed the first probe on the Moon, and so on. Then, at the height of the race to the Moon, the Apollo 1 fire happened, and the future of NASA's Apollo program seemed uncertain. 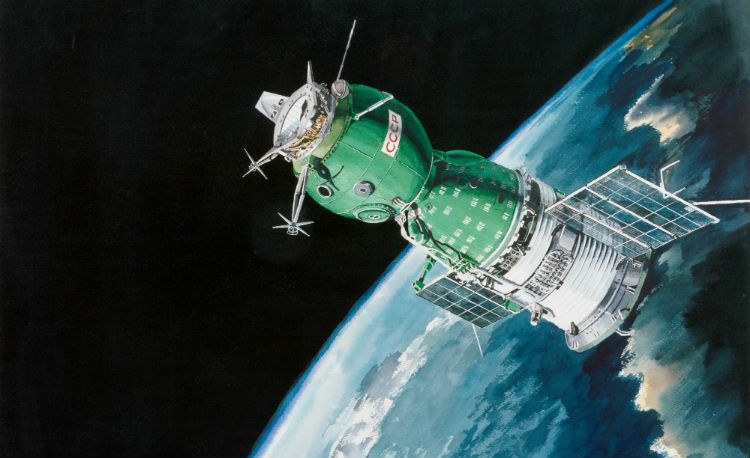 An artist's rendering of a Soyuz spacecraft. Image: NASA. On April 23, 1967 (just three months after the Apollo 1 disaster), the Soviets launched their newly-hatched Soyuz 1 capsule on an ambitious first test-flight, with Soviet cosmonaut Vladimir Komarov on board. This ambitious mission was to include a second capsule, Soyuz 2, carrying three astronauts—two of whom were intended to transfer from Soyuz 2 to Soyuz 1 prior to landing safely back on Earth. But nothing went according to plan. In addition to being one of the Soviet Union's most skilled and qualified cosmonauts, Komarov was also an engineer in the Soyuz program, along with Yuri Gagarin, the first human to go into space, and Alexei Leonov, the first person to conduct a spacewalk. Throughout the development of the Soyuz capsule, engineers clashed with their superiors (many of whom were higher-ups in the Communist party) over the multitude of design flaws and technical challenges involved in the development of Soyuz. Despite the risks involved, Soyuz 1 and Soyuz 2 were ordered to go ahead as planned. 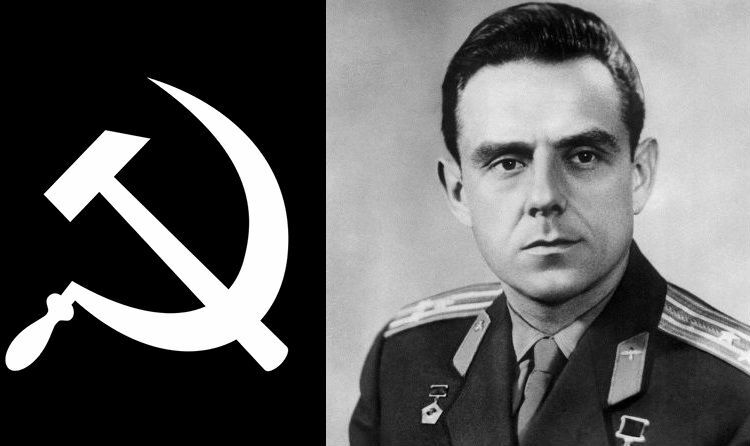 Portrait of Vladimir Komarov with the Communist sickle and hammer (for dramatic effect). Image: Roscosmos, modified by Dan Levesque. The incident: Things began to go poorly as soon as Komarov reached orbit. Solar panels failed to deploy, power to the instruments was intermittent, and some of the important navigation instruments weren't working at all. As a result of this poor performance—which included periodic loss of communications—Komarov was ordered to terminate the mission and reenter the Earth's atmosphere. Soyuz 2 was scrapped as well, in part due to bad weather. While he managed to regain some control and should have been able to land safely, the main parachute on the Soyuz capsule failed to open. Komarov released the reserve chute, but it didn't work either. As a result, the first Soyuz mission plowed into the Earth at approximately 140 km/h (80 mph), and Komarov was killed on impact. 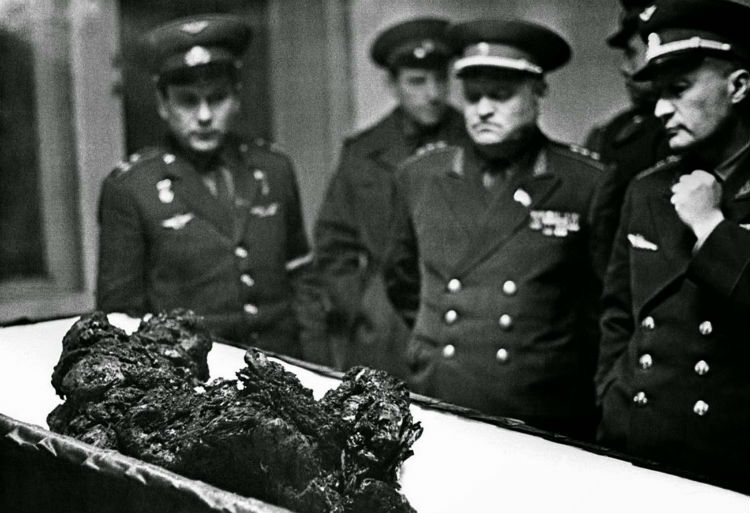 Allegedly, this is a photograph of Komarov's charred remains, recovered from the crash site. Image: RIA Novosti/Photo Researchers Inc.. The aftermath: Despite knowing about all of the problems with the Soyuz and its not being ready, the mission was forced to go ahead. It was later discovered that, had Soyuz 2 launched and attempted to rendezvous with Soyuz 1, it too would have been doomed—the parachute system was defective in both spacecraft, and all four cosmonauts would have died. Allegedly, Komarov knew that the spacecraft was doomed and didn't expect to make it back alive. But he also knew that, if he refused the mission, his replacement would be Yuri Gagarin—a close friend. He refused to have a friend die in his place, and instead insisted on taking the assignment himself. Similarly to Apollo 1, the Soyuz failure resulted in a complete overhaul of the Soyuz spacecraft, as well as an 18-month hiatus on all Soviet human spaceflight activities. By the time Soyuz 3 and Soyuz 4 completed the original mission in January of 1969, NASA had already orbited the Moon, and would make the first landing just 6 months later. After losing the Moon race to the Americans, the Soviet Union abandoned its hopes of landing on the lunar surface in favor of establishing a permanent space station in Low-Earth Orbit. This was seen as strategically superior to having any kind of presence on the Moon, which was too far away from Earth to be strategically relevant (it would take a few days to travel between Earth and the Moon, whereas a missile launched from orbit could strike a target on Earth within minutes). Following an unsuccessful docking attempt with the Salyut 1 space station made by Soyuz 10, the crew of Soyuz 11 was to make a second attempt. 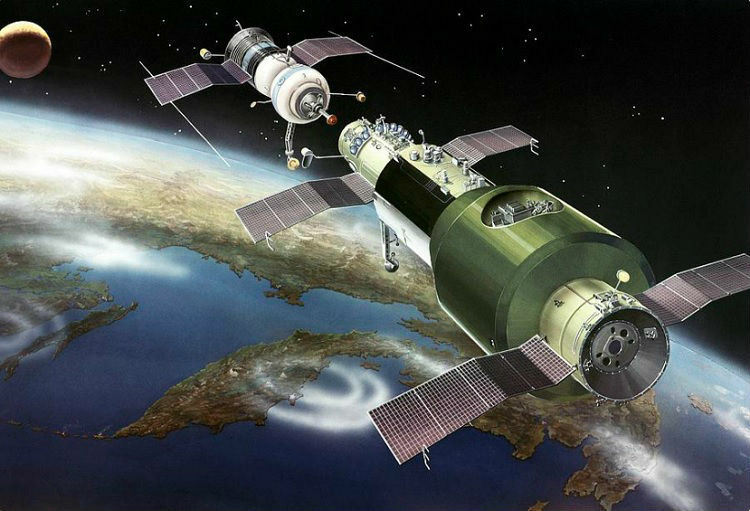 An artist's depiction of the Soyuz-Salyut docking maneuver. Image: Ria Novosti. The docking maneuvers went smoothly, and the Soyuz 11 crew was able to board the Salyut 1 space station, becoming the first human beings ever to inhabit a space station. However, the triumph wouldn't last long. The incident: After arriving on June 7, 1971, the three cosmonauts made their departure from the Salyut on June 30th—after a record-setting 22 days in orbit. Everything went as planned, up until the point when the Soyuz service module (which provided power and other logistics) detached from the descent module (which had a heat shield designed for reentering the Earth's atmosphere). The small explosive mechanism that detached the two modules caused the seal of a pressure-equalization valve to loosen. At 168 kilometers above the surface of the Earth, the atmosphere of the cabin began leaking out into space, replaced by an airless vacuum. The cosmonauts inside were unable to fix or plug the leaking valve, asphyxiating and losing consciousness in less than a minute. 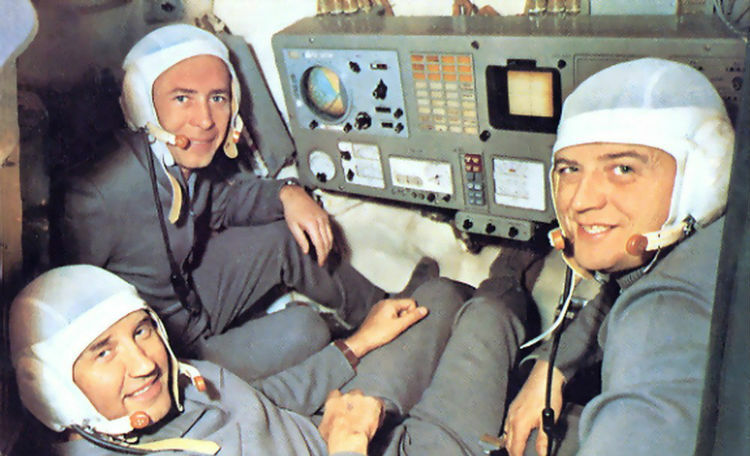 The Soyuz 11 crew became the first human beings to board a space station. Image: Joachim Becker/SpaceFacts. The cosmonauts quickly succumbed to the vacuum of space—the oxygen and nitrogen in their blood would have begun to bubble and boil (under zero atmospheric pressure), causing blood vessels to rupture. The aftermath: Investigations determined that the faulty design in the one pressure-equalizing valve had caused the issue, and that there was no way the cosmonauts could have fixed the problem quickly enough to survive. More than any other previous human spaceflight mission, the Soyuz 11 incident proved that getting spaceflight right is really difficult. Even something as seemingly small as a faulty valve could cost space travelers their lives—or, had it been known about, it could have been easily prevented. 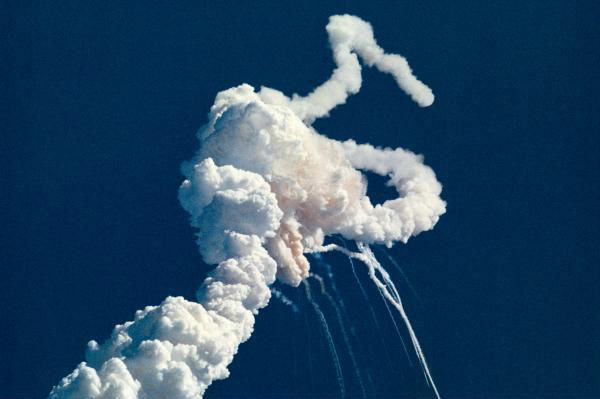 It goes without saying that the Challenger disaster was the most shocking spaceflight disaster in history. The Challenger space shuttle launching during STS-6. Image: NASA. Both the Apollo 1 and Soyuz 1 disasters revealed the complete failure of mission managers to address the technical issues brought up by engineers. Unfortunately, the space shuttle era was marked by two disasters in which known issues had been pushed aside and ignored rather than addressed. 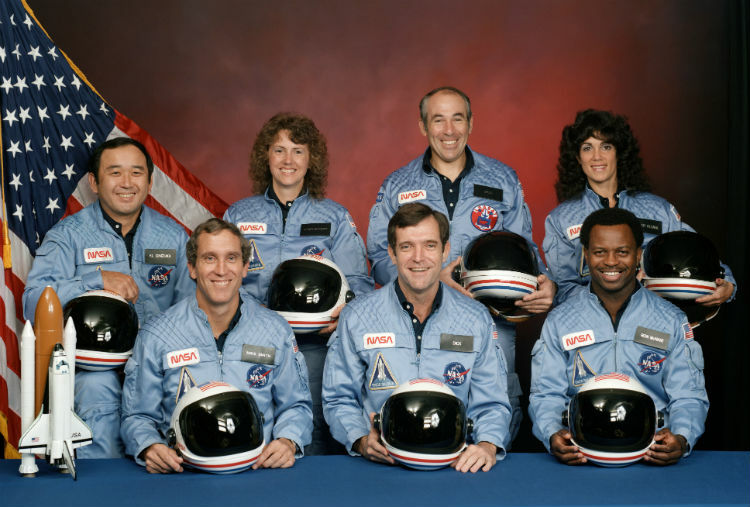 The incident: On January 28, 1986, the Challenger space shuttle launched on what was to be its 10th spaceflight. Temperatures at the launch pad over the previous night had reached as low as −8°C, which is significantly below the minimum acceptable launch conditions of 4°C. As a result, the contractor responsible for designing and manufacturing the solid rocket boosters strapped to the side of the shuttle's external fuel tank recommended against launching under such conditions. Mission managers at NASA ignored this warning, and went ahead with the launch anyways—another incidence of go fever, just 19 years after the Apollo 1 disaster. As a result, a crack formed in the rubber O-rings separating the hot gases from mixing in the rocket boosters. That crack became a breach. And that breach caused the external tank, which the shuttle was attached to, to rupture and explode. Challenger meets disaster just 73 seconds into launch. Image: NASA/UPI. 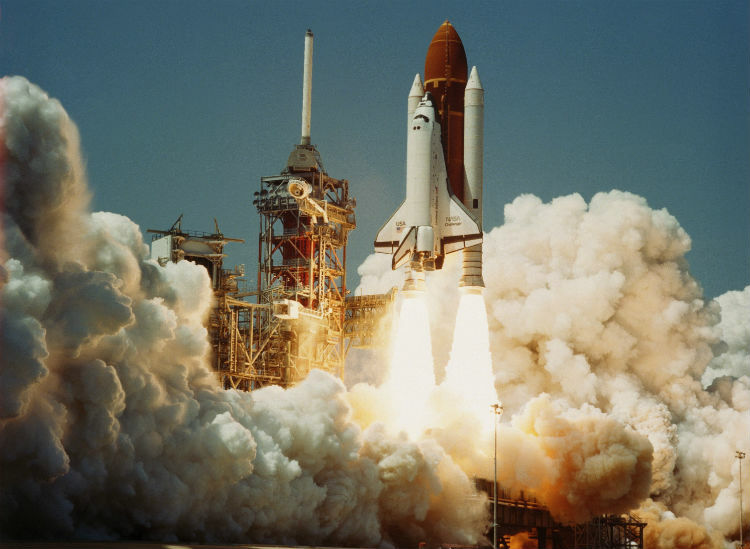 The aftermath: One of the major issues leading up to the Challenger disaster was that, internally, NASA engineers would cite a 1-in-100 chance of catastrophic failure on any given space shuttle mission. On the other hand, administrators and mission managers often cited a 1-in-10,000 chance of failure—and this was even seen as overly pessimistic. Challenger STS-51-L crew portrait Image: NASA. All told, this disaster claimed the lives of seven astronauts—one of whom was a civilian schoolteacher—and exposed the severity of the mismanagement within NASA's human spaceflight program. But it wouldn't end there. On February 1st, 2003, NASA and its aging space shuttle were exposed once again. 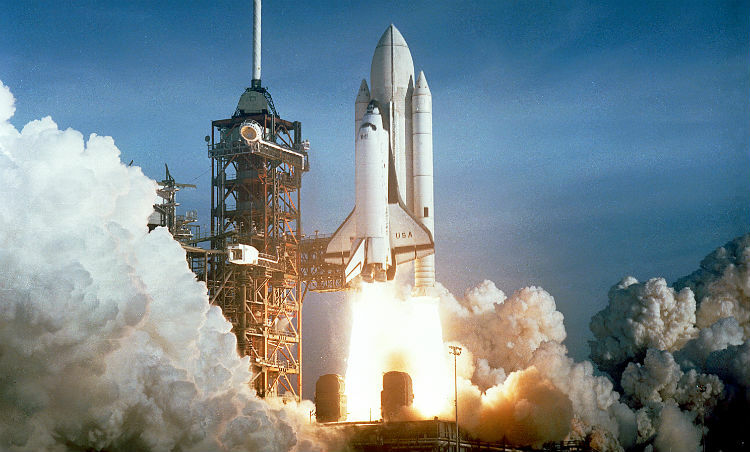 April 12, 1981: the first launch of Columbia, and the first launch of the space shuttle. 21 years later, Columbia would make its final (and disastrous) flight. Image: NASA. The incident: During the launch of STS-107, a piece of foam detached from the external tank and struck the wing of the shuttle at supersonic velocity. 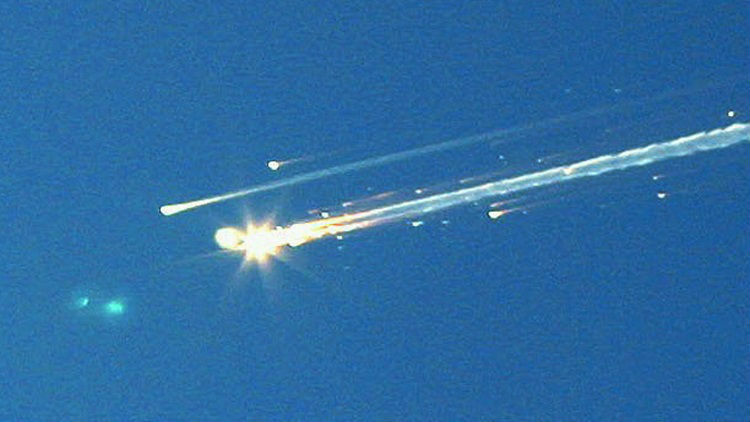 The resulting damage to the wing's heat-shield tiles made it impossible for the shuttle to re-enter the Earth's atmosphere without being destroyed. But nobody bothered to do anything about it. Once again, NASA engineers had long warned about such a problem occurring—foam had caused damage before, but never to such an extent as it did during STS-107. Unfortunately, nobody knew the extent of the damage. And arrogantly, mission managers refused suggestions to inspect for any possible damage. Despite warnings from engineers, Columbia didn't make it back to Earth. Image: Scott Lieberman. Their logic was simple: even if they did find that Columbia's heat shield had been compromised, there was nothing they could do about it (according to them). They argued that it was best that neither they nor the crew knew about this potentially disastrous incident—better that the crew died not knowing their fate, rather than learn of their fate only to wait in Low-Earth Orbit for a rescue that would never come. As a result, Columbia's mission continued as normal. The crew was never even informed that their heat shield might be compromised. And during re-entry, Columbia burnt up in Earth's atmosphere, and the lives of all seven astronauts on board were lost. 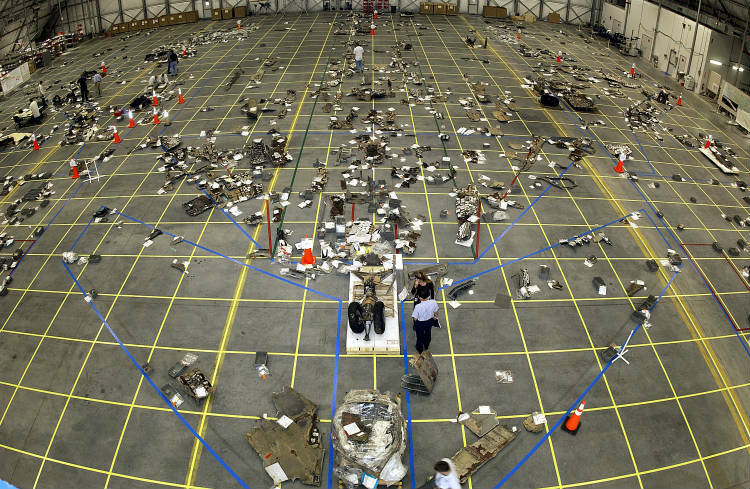 Recovered debris from Space Shuttle Columbia. Image: NASA. The aftermath: Since the disaster, reports have surfaced detailing a hypothetical rescue mission that could have been mounted by NASA, had the damage to Columbia's heat shield been detected. Unfortunately, despite repeated disasters in which NASA administrators have ignored the warnings of the engineers who actually work on their hardware, incidents like these have continued to occur. Not even two decades have passed between either of these tragedies at NASA, and yet the memory of the previous disaster and its causes seems to drain away. 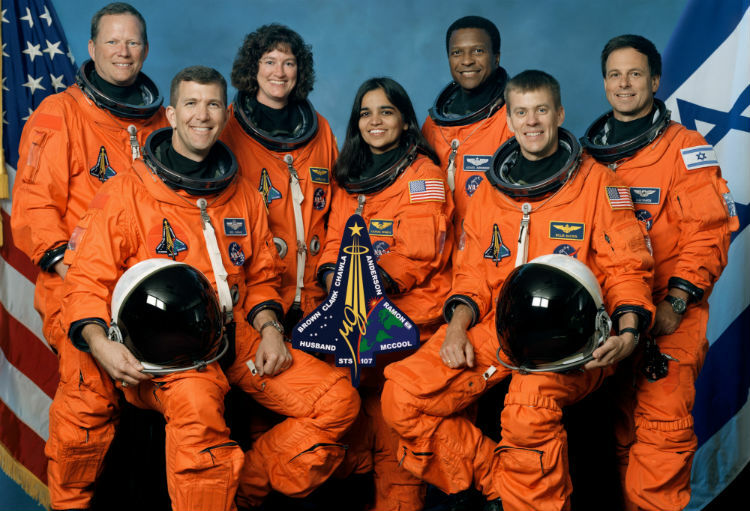 Columbia's STS-107 crew portrait Image: NASA. Following the Columbia incident, NASA made the measured decision to utilize its aging space shuttle fleet to finish construction of the International Space Station, which it did successfully. The shuttle officially retired in 2011 after 135 flights, two of which were disastrous. In the end, the space shuttle program retired with the worst track-record of any spacecraft, ever. While engineers had estimated a somewhat uncomfortable 1-in-100 chance of failure, the actual figure after 30 years of operation came in at 1-in-67.5. With NASA's new Orion capsule expected to launch carrying human astronauts sometime in the early 2020's, let's hope that, this time, the aging space agency doesn't forget its long and storied past.